The money will support the work of St Andrew’s Refugee Service (StARS) in Cairo as part of the Boys' Brigade/Church of Scotland World Mission Fund. It will be used to build outdoor play facilities for refugee children and young people for StARS, which provides a safe and inclusive space for displaced people to come together as a community. 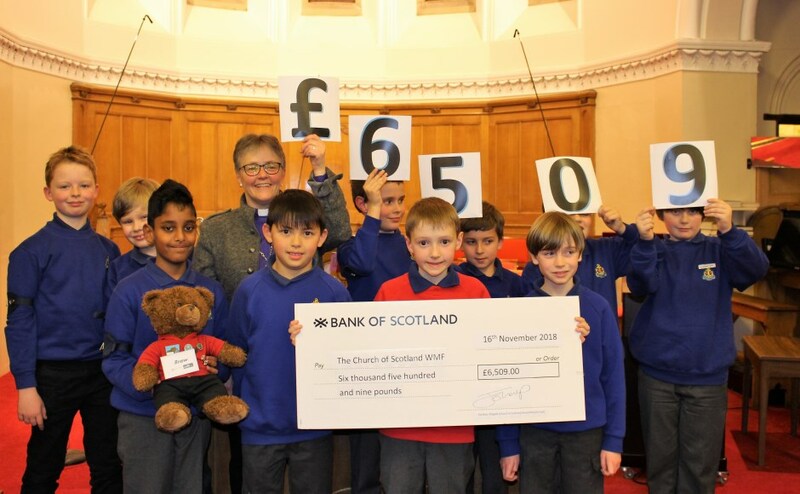 Rt Rev Susan Brown, Moderator of the General Assembly of the Church of Scotland, received the cheque on behalf of BB/CoS World Mission at a special presentation evening at St John’s Church in Largs, Ayrshire. She paid tribute to the boys for their terrific efforts and presented the awards to the companies which had raised the largest amounts in each age group. The StARS school has over 500 students. They are all refugees, coming from countries such as Eritrea, Ethiopia, South Sudan, Sudan, Syria, Yemen, and Somalia. Almost all live in places in Cairo where they do not have access to a safe space to play. There are very few public green spaces available in the city, and these are rarely located in the neighborhoods where refugees live. He said: "I would like to congratulate all those members who have raised money to support St Andrew's Refugee Service, especially from the companies who have received awards this evening. “It is particularly special to see their efforts celebrated by so many, including the Moderator of the General Assembly, Rt Rev Susan Brown. "Raising money for such worthwhile causes is only part of the story, however. “The World Mission Fund enables our members to discover more about the world around them and learn how they can make a positive difference to the lives of others." Also attending the presentation on November 16 were members of the 1st Largs company, whose pipe band provided entertainment during the evening.